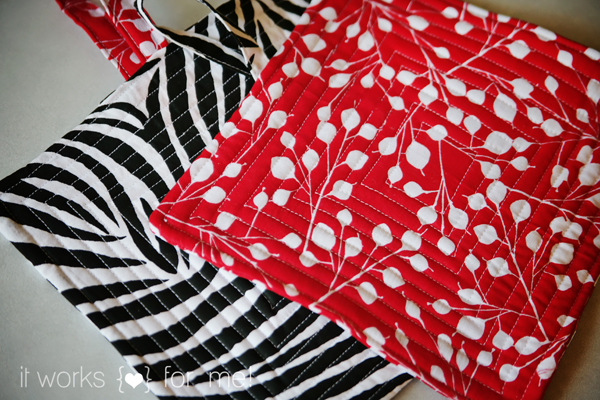 Quilted Pot Holders – It Works For Bobbi! Published on June 15, 2011 August 9, 2016 by Bobbi-Jo G.
I think I’ve mentioned my love affair, haven’t I? The one I’ve been having with Pinterest? I find myself browsing, pinning, and being inspired during every free minute. LOVE! My latest find was a little site called “A Pretty cool life”. 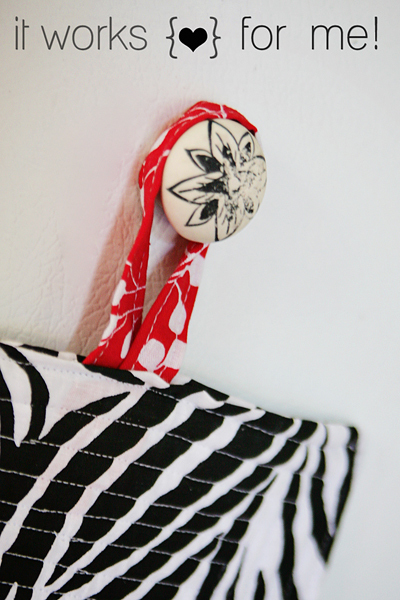 I found these adorable pot holders that take only minutes to make. 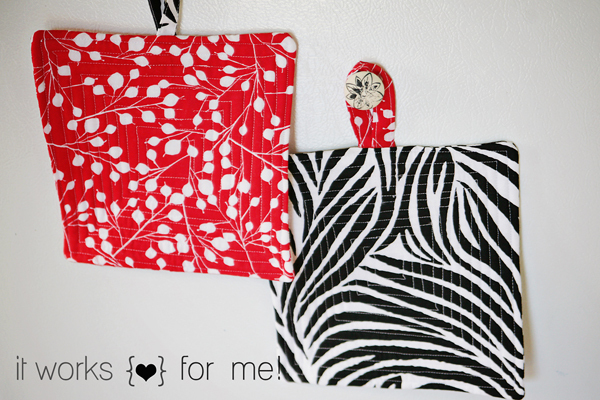 I knew I had some cute scrap fabric around, and I even had the quilt batting, too! This project was going to be made. Turns out I didn’t have enough to make two matching holders, so I made a set of coordinating ones, instead. Here are mine! So, now all I need is something HOT to put on them! Any ideas? Happy pinning and Happy crafting!! Previous Chapters Gift Card Winner! Cute! Cute! I love that blog too. Your pot holders are adorable! SO cute! I'm clearly out of the loop because I have NO idea of what pinterest is. What is it? I think Hawaiian Haystacks sound yummy, don't you??? Plus they are so easy! Look at you sewing up a storm! These are Fab Bobbi!